Jean-Claude Asselborn (code name 9i = "Nengi", Luxembourgish affectionate word for bunny) is one of those persons who make writing a résumé of their life and achievements an impossible task, even for someone who has been his friend for nearly 50 years. His interests and achievements were so many that they cannot all be addressed here. So this will be a patchwork on a truly exceptional man, who was loved by many and made a lasting impression on all those he encountered. Born in 1945 as the first of two children, Jean-Claude grew up in the much envied environment of a child whose father was a busy and successful owner of a candies, sweets and chocolates shop. After his 6 years in elementary school he went to the Pensionnat d'Echternach, a boarding house attached to the Lycée Classique of Echternach. There he spent 7 years in a well protected educational environment, with all the pleasures and difficulties required by the discipline and rigor common and indispensible in such institutions. Being a brilliant student, he did not regret this time. After his graduation in 1964 he entered the Cours Supérieurs, which at that time was the mandatory first university level step for all those planning a job as a future high school teacher (high school = lycée in Luxembourg takes teenagers from 12 to about 19 years). Jean-Claude wanted to become a mathematics teacher, and so he chose the section of mathematics and physics at the Cours Supérieurs. It is there that we met for the first time. Jean-Claude was one of the early members of the young Luxembourg caving club (Groupe Spéléologique Luxembourgeois), and from that time on we spent many hours in the underground darkness. Jean-Claude was physically strong and enduring, and many of his colleagues were profiteers by loading sometimes without much embarassment Jean-Claude's backpack with their private stuff. After passing with flying colors the final exam (only 4 students out of about 16 managed this at the first try), Jean-Claude went to the University of Liège (ULg) in Belgium, to continue his studies in mathematics and physics (both mandatory subjects) for 3 more years. We met again in Liège in 1966. The intermediate and final exams were held in Luxembourg, so that the students were "free students", in a sense that they had to tackle a Luxembourg prescribed program that was often very different from that taught at the university. This drawback turned into an advantage, as the students became very efficient in self-learning. I remember many hours spent with Jean-Claude over an obscure, difficult and error laden book on mechanics. Jean-Claude was quick in grasping even extremely difficult problems, and I must say that I felt sometimes like a parasite sucking on his brain. At that time we started, besides the usual caving, also many longer walks in the nature, often together with our future spouses. Jean-Claude was for all his life fond of the beauty of unspoiled nature; a true intelligent love so different from today's fashionable green naivety. Having finished his university studies, Jean-Claude spent the next 2 years as a trainee teacher at the Lycée Classique d'Echternach, writing a thesis on the mathematical structures of lattices and taking his practical examination with great success. Contrary to most of us who were in a hurry to start our teachers career job, Jean-Claude went to the University of Grenoble in France for a 2 years curriculum at the "Institut de Programmation" earning the diploma of "analyste-programmeur, expert en systèmes", a profile close to what is called today a systems engineer and developer. Back at home he was hired from the spot to built up the computing and informatics infrastructure of the social security administration. This was an harassing and difficult job, which Jean-Claude managed with his now well known efficiency and rigor from 1972 to 1975. In fall 1975 he returned to teaching at the post-secondary Ecole de Commerce et de Gestion (ECG) in Luxembourg. Here too he was the man building up a computing infrastructure and informatics curriculum from scratch. The Ministry of Education was confronted at that time with an oversupply of misdirected teaching candidates. The Ministry asked Jean-Claude to create the EUPED (Etudes Universitaires Pratiques en Droit et Economie), an institution planned to reroute unemployable students of social sciences to the world of programming and computers, which was asking desperately for qualified people. EUPED was a mixed success, as not too many of the potential candidates were eager (and capable) to jump the line. Nevertheless, this creation paved the way for the "Cycles Courts", a new university level planned for producing in to years employable workers for the world of economics, finance, banking and informatics. Jean-Claude was an administrator of the economics section for 2 years, forced one more time to start practically from scratch in planning and developing curricula and physical infrastructure. One of his publications from that period was a contribution with co-author Jean-Marie Jans titled "The Self-learning Organization in a Changing Professional Environment" to the book "CorporateTraining for Effective Performance" (Springer, 1995). 2003 was the founding year of the University of Luxembourg; Cours Supérieurs merged into the university's Bologna scheme of bachelors/masters/PhD's and Jean-Claude became a professor in Computer Science at the Faculty of Science, Technology and Communications and at the Faculty of Law, Economy and Finance. 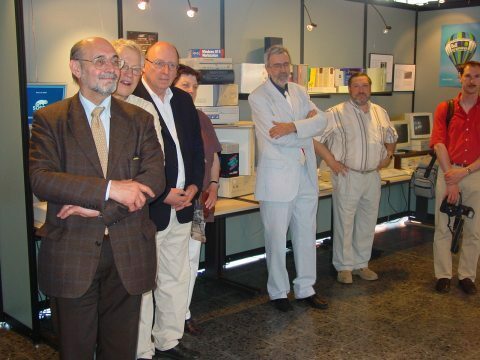 Later years saw the creation of the LACS (= Laboratory of Algorithmics, Cryptology and Security), and Jean-Claude became one of the professors of that structure, and also a member of the Academic Staff Overview board of the CSC (= Computer Science & Communications) entity. His interest in security questions was rewarded with an extremely heavy workload. Besides teaching and organizing such mundane but difficult task as assuring the placement of Luxembourg bachelors at partner universities for their mandatory stay abroad, he was busy at organizing committees like that of CAiSE 2006 (Advanced information systems engineering) or FSE2007 (Fast software encryption). Cryptography and systems security became his major areas of interest, and he was member of the team which made the workshop "Cryptography for Kids" at the Science Festival 2009 in Luxembourg. Jean-Claude retired and became emeritus professor in 2010. 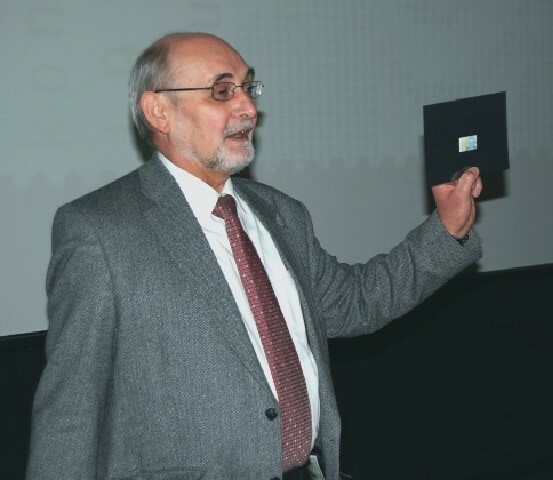 His last conference was a stunning presentation on computer pioneer Konrad Zuse in September 2010. A month later he held the same conference for the Computarium at the LCD, topped up with new material and a discussion of Töpler's method for computing the square-root. His plans to present a 5 part lecture series on the "Art of Secrecy" which he had prepared during many hours were shattered in February 2011 by his beginning illness. In the early 1970's, computers in the educational environment were unknown. In 1973, Jean-Claude, together with Fred Tonhofer and Jos Lahr started teaching Fortran programming to high school teachers. At the same time, Jos Lahr managed the extraordinary achievement to lease a mini computer (a HP2100A) for the Institut Technique, a post-secondary polytechnic. This computer was also used by Jean-Claude Asselborn at the ECG, and as I had good success in teaching BASIC programming at my LCD lycée, he also added this language, together with the then ubiquitous COBOL to his teaching curricula. The Ministry of Education took, as common with administrative juggernauts, a longer time to react. In 1981, a committee called "Commission Technologies Nouvelles et Informatique" was established, and Jean-Claude Asselborn was one of its members throughout the years. He was instrumental in focusing the decisions for the first computers to be acquired by Luxembourg's lycées to the BBC mod. B microcomputer. At that time, this was a clever decision, as no other microcomputer could match that marvelous and relatively inexpensive machine for versatility, robustness and power. When much later RESTENA, the foundation responsible for Luxembourg's educational and research networks was in the making, again Jean-Claude was one of the driving forces behind that important project. In 2005 the Lycée Classique de Diekirch celebrated the175th anniversary of its foundation. A team around Jean Mootz and myself planned and created an exhibition of vintage computers, calculators and ancillary equipment. When Jean-Claude saw our exhibition, he patiently pushed the idea to create a durable museum-like structure for preserving this historic material. His polite, friendly but stubborn efforts broke the initial reticence, and I hope he will be somewhat satisfied when looking down on the Computarium. Jean-Claude was always interested in history and past events. He became an expert of the "Canal de Hoffelt-Buret", a gigantic and never finished enterprise started in 1828 to build a waterway going from the river Meuse in Belgium to the river Sauer in Luxembourg; at the drainage divide in Hoffelt/Buret an underground channel was dug. The remains of that unfinished work were explored by the caving group GSL. Jean-Claude became a fan and an expert of the colorful history of that 19th century channel enterprise, and wrote a stunning chapter on it in the book "Höhlen in Luxembourg" (J. Konen, editor, 2009). He also was a specialist of the historical exploration during the 50s of the caves in the Schnellert region by young monks from a monastery in Echternach. His private collection of Luxembourgensia fills a small studio. As young married and still childless couples, the Asselborn-Metzler and Massen-Heirendt families, sometimes together with the Lanners-Eicher couple, hiked several of the long GR trails, like the "Tour du Mont-Blanc" or the "Tour du Queyras", as well as more modest trails in the Black Forest. 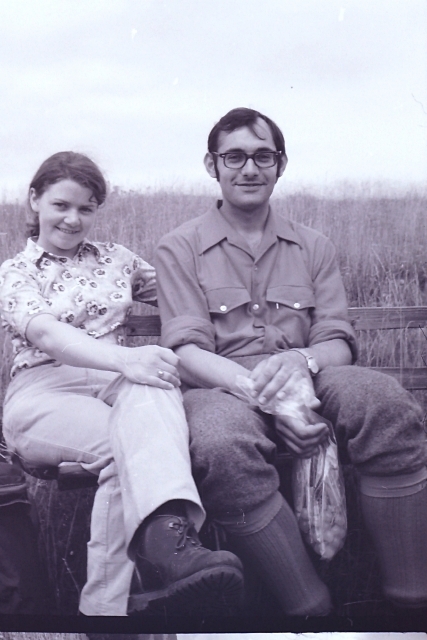 Jean-Claude was a humorous, witty, sometimes caustic, but always generous and warm-feeling companion. As said above, his strong carrying capacity was often abused by his team members, what he accepted with never failing goodwill. Jean-Claude fell ill in February 2011, an undetected cancer having spread to his bones. Very complicated surgery was performed many times, which left him lying in the hospital bed with only few possible movements. Nevertheless he always was good humored, and managed to hide his pain and anguish from his visitors. Starting August 2011, there was a serious hope that his health was improving. But alas, a couple of weeks later that hope was brutally smashed by an unforgiving new spread of cancerous cells. 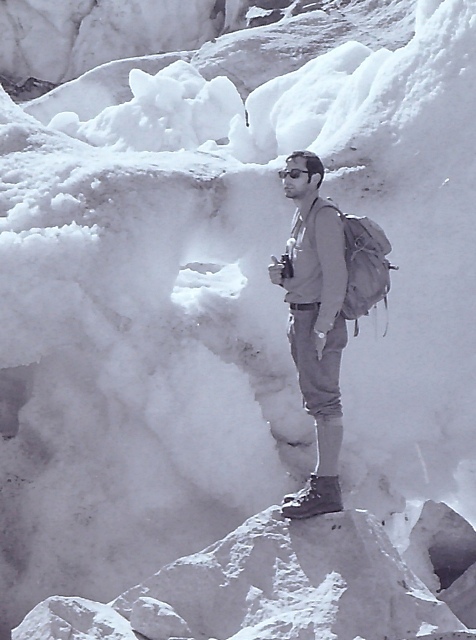 Let me finish with a picture typical of the young Jean-Claude taken during a hiking tour in Switzerland: not afraid of the height neither of the cold, rising his head to the sky, his feet solidly set on the ground: a picture of an outstanding scientist, sportsman and friend. Let the sorrow and condolences of his numerous friends who are so indebted for everything he gave them be a consolation to his family. The obituary of the University of Luxembourg is here, another by Rosch Krieps published in the "Magazin des Auberges de Jeunesse Luxembourgeios" is here.